"one of the cleanest airports I've visited"
✅ Trip Verified | Narita airport is one of the cleanest airports I've visited. The staff were nice and helpful. What's most important is that they allocate enough staff to security, immigration and other counters so there were no long queue and thus save your time. Not Verified | I would like to complain about the lack of food and drink services after security in terminal 3. It's completely unacceptable. There are no signs saying limited food services. Every other airport has at least 3-4 places where you can get food or a drink. I am disgusted with the lack of service. ✅ Trip Verified | Review about the terminal 3 (low cost). 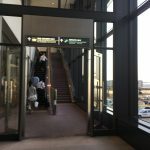 First, Narita Airport is very far from Tokyo, it takes me about 2 hours to get there but it is well served; two high speed train to Tokyo and a local train, many bus line for Tokyo, Kanagawa and Yokohama. From terminal 2 to the terminal 3, we have to walk about 15 minutes outside or use a shuttle bus (about 5 minutes). This terminal has the minimum required, few shops before security check and not much inside. I could not buy some snakes in the international area. The airport stays very clean and well indicated. I always had to take a bus from the gate to the plane, I do not know if it is possible to jump into the plane from the gate. "lot of food court restaurants"
Not Verified | It was clean, staff was nice, we went to all 3 terminals. Terminal 1 was nice, Terminal 2 was clean and Terminal 3 has a lot of food court restaurants. "A reasonable number of seats"
✅ Trip Verified | Departed T1 on an intercontinental flight at 11:10 hrs. Check-in not too bad - Islands for each airline/group. Quite a queue for Passport Control and through to Security which was OK. Only as you got to the scanner did they make clear what you needed to remove or have separately which lead to additional delays being processed. None of the Shops open until 08:00 and neither do many of the restaurants. There are some local and international fast food cafes and a selection of Duty Free focusing on the "traditional" products along with some Japanese souvenirs. A reasonable number of seats but can get busy as a number of flights depart at similar times. Boarding by zone with individual queues at the gate. Would not recommend this airport if you have the chance to use Haneda which is a much better experience all round, and closer to the city! ✅ Trip Verified | The airport was clean and well maintained. The airport was bright enough to have enough natural sun light inside the building. First, during the check-in counter was seamless once you have self check-in via online or kiosk. Immigration and security check also smooth even with large crowd. Shopping experience was decent but limited choice of food. Waiting hall was big enough with many seat available and with charging port as well. ❎ Not Verified | Immigration at this airport is quite terrible. There are no staff on hand to direct passengers and signs are initially well placed until you get to the immigration area where they just make any sense and are not visible. It took 2 hours to make it past immigration. There is an initial line (about 1.5 hours) that breaks up to 5 individual lines for the machines that take your passport information and fingerprints. These five lines make no sense as you soon realize a staff member (probably the first one you will encounter) arbitrary picks which one gets to move. He basically let lines 1 and 2 move while lines 3-5 remained long. After this process, you move to your last line of actually getting to the immigration officer (30 minutes). Good luck and fly to Tokyo Haneda! "Queues from the start to finish"
❎ Not Verified | One of the worst airports I’ve been to. Queues from the start to finish. Started and ended the holiday with a bad experience of Japan, which is a shame because my time in Japan was amazing. Hopefully they are planning to improve or add another terminal. "Stay the heck away from Narita"
✅ Trip Verified | I arrived at Narita with 12 of my students who had just finished a home stay in New Zealand for 3 months. Their parents were waiting and I was the foreign teacher left with the responsibility of bringing them home safely. When we arrived, we got off the plane and I was told that foreigners were to go to the left and Japanese to the right. Goodbye students? The line for foreigners to go through immigration was literally blocks long (hundreds and hundreds of seemingly un moving tourists/foreigners). I later found out that it had taken people 2.5 hours to get through immigration. Incredible. Luckily, I have a residence card and could go through with my students. Took 10 minutes. Then it hit me! Narita Airport! 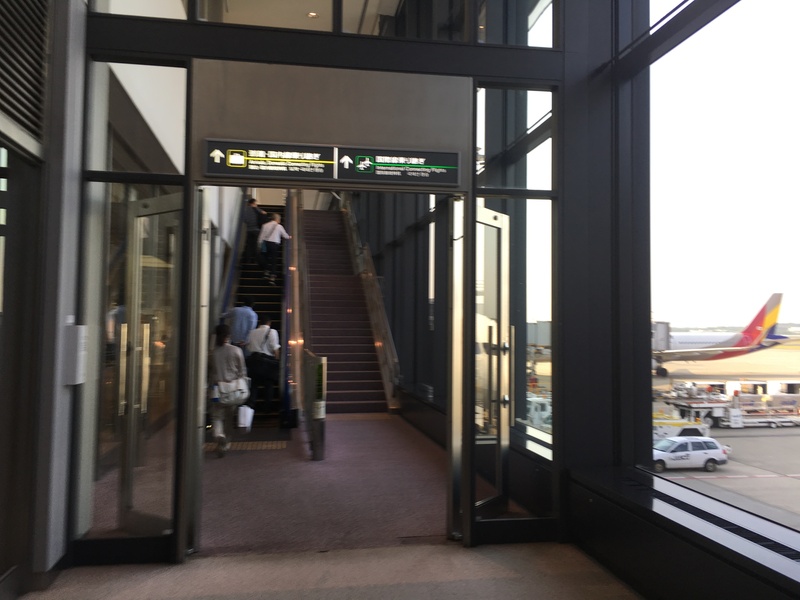 I have been using Haneda Airport only for the past number of years (7). It is excellent and always smooth. Stay the heck away from Narita. I really hate that airport. Maybe the worst I have ever been to. ✅ Trip Verified | Third world service, Japanese efficiency, no sign of it at Narita. Shambolic immigration. 1 desk open for a long line of foreigners. Better service in all other Asian countries, especially China. No wonder the Japanese economy is in the toilet. They could learn from China.